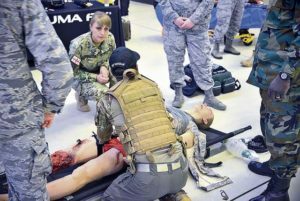 Nurses and medical professionals from around Europe and Africa receive small-group training at Ramstein Air Base, April 3. 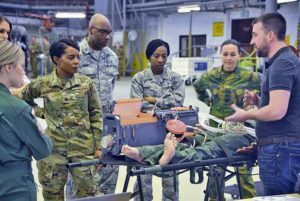 Representatives from 23 countries around Europe and Africa gathered at Ramstein Air Base, this week to share and collaborate during the 2019 European African Military Nursing Exchange. The four-day event brought together nurses and medical professionals to present and share best practices, lessons learned and innovative healthcare practices pertaining to various military nursing specialties. Col. Jill Scheckel, U.S. Air Forces Europe-Air Forces Africa command surgeon, welcomed the diverse group of health professionals to the event: “We have invited each country to brief us on their current military medical readiness, global healthcare impacts and disaster response capabilities and challenges. “We all ascribe to evidence based medicine and there’s no better time than now to share experiences to improve our military medicine and move towards this goal,” she added. The 2019 EAMNE is the sixth iteration of its kind, with extensive planning and coordination to connect partner nations in a collaborative environment that promotes hands-on training scenarios. With the rise in humanitarian medical assistance across the globe, coordinated events such as this expand upon the critical life-saving practices countries can share with each other. 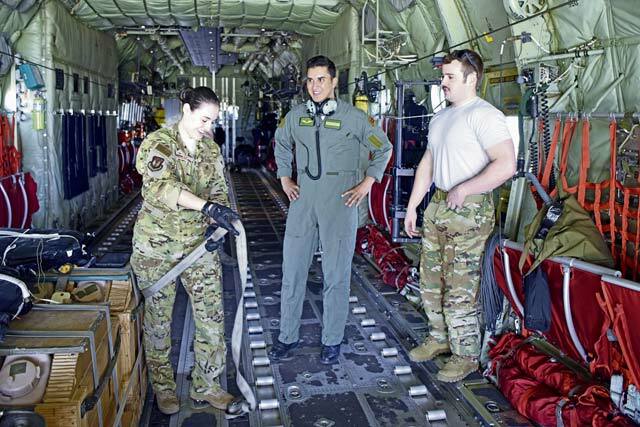 “We wanted the hands-on opportunity for each country to have the chance to demonstrate their individual capabilities,” said Col. Maureen Charles, USAFE-AFAFRICA command nurse. According to Charles, previous EAMNE events were held in Garmisch-Partenkirchen, which limited training opportunities because they lacked the necessary equipment to fully demonstrate medical response efforts. Hosting the event on Ramstein allowed for a wide array of medical equipment and static displays for attendees to observe and test. “It’s all about the learning opportunities, because we really want our partner nations to get to know each other and be able to take what they learn here back to their countries,” added Charles. U.S., European and African military nurses also focused on each nation’s unique cultures, communication patterns and capacity for interoperability. 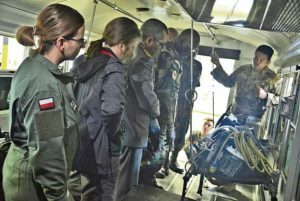 “We are duty-bound to provide the best medical support that we can to the troops engaged in peacekeeping missions and during times of conflict and natural disasters,” said Scheckel. “Medical support is what we are all about. Peacekeeping is a hard and noble business,” she said. 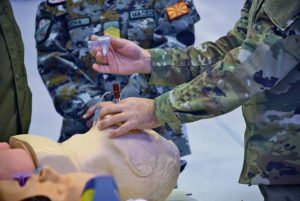 The 2019 European African Military Nursing Exchange is the sixth iteration of its kind, with extensive planning and coordination to connect partner nations in a collaborative environment that promotes hands-on training scenarios.